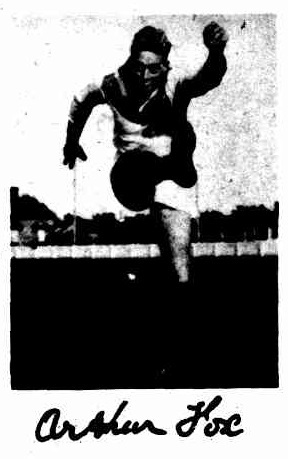 In that season Arthur was runner up to Ralph Shalless (now at Brighton), for best and fairest player in Mildura-Red Cliffs. He played his first senior game in 1948, and up to the end of last season had played in 24 games. Most of his games have been on the wing, and it was as a wing man that he gained selection in the Victorian team. At home Arthur is a motor mechanic, but during the winter he drives a truck. He is single.